Rich Kid of Instagram Tiffany Trump certainly knows how to vacation like one. And why shouldn't she go all out if it's being subsidized by the American public?! 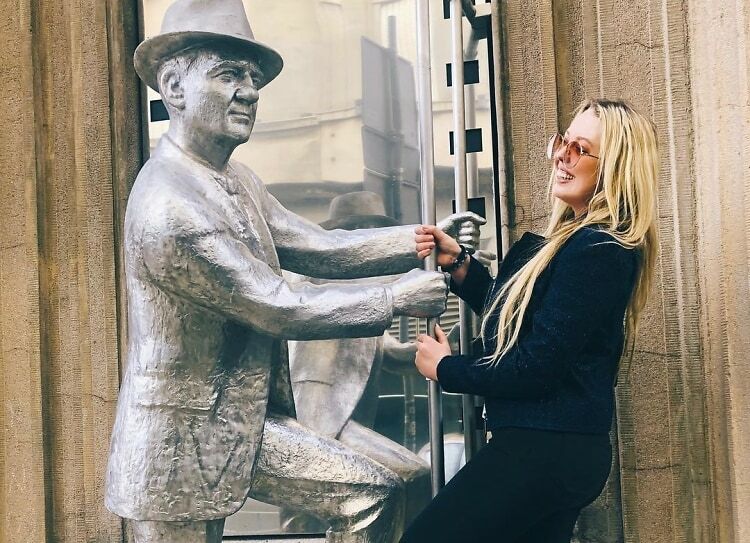 This March, the 25-year-old First Daughter spent her spring break from Georgetown over in Belgrade, Serbia, accompanied by her boyfriend and, of course, a full secret service security detail. According to an approved purchase order titled "Acquisition of hotel accommodations in support of Tiffany Trump travel," the trip totaled at least $23,000, calling for "120 single/double rooms" for accommodations and "office space" (yeah, OK) at the Square Nine Hotel. Weirdly, the purchase order referred to Tiffany as a "Senior High Level" government official, despite the obvious fact that she has no official government role whatsoever. Ah, well. Glad she and her man had a nice time. Always happy to help!